A stabilized modification of the Sternheimer-Mablin urinary stain. This highly selective formula stains blood cells, casts, and other formed elements in urine sediment in a distinctive fashion that permits rapid and accurate identification. No mixing of solutions is required. 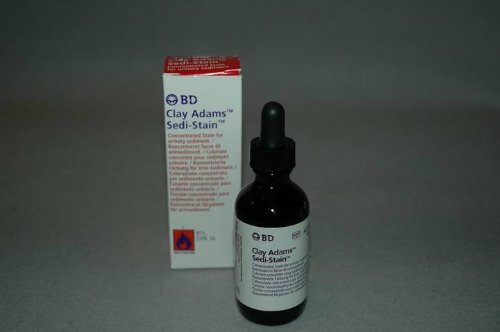 Sedi-Stain is used directly from the dropper bottle and will remain stable indefinitely. If you have any questions about this product by BD Biosciences, contact us by completing and submitting the form below. If you are looking for a specif part number, please include it with your message.